Bad News? No Joey! – Good News? This Blog draws readers from Canada! My name is Beth Evans and I live in Ottawa Canada home of the Ottawa Senators. I am one of the nine semi finalists in a contest to win a trip to your beautiful Island. In order for me to make it to the finals I need your help. 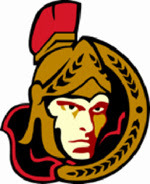 This Saturday Feb 3rd the Ottawa Senators will play the Toronto Maple Leafs. After that game the fans will have the opportunity to vote for their favorite Sens Fan on-line. There is a 48 hour window for voting. There is no limit to the number of times you can vote. I am hoping that all Bajans will take some time and vote for my video ? the prize is a trip for 2 to Barbados to watch the Sens and Leafs game at Bert?s Bar on their big screen. VOTING STARTS AFTER THE GAME FEB 3 AND RUNS FOR 48hrs. I have a profile on the Sens website now and after reading it you will realize that I am truly the biggest Sens fan!!!!! I want to be able to thank each and everyone of you for voting for me in person at Bert’s Bar on Thursday March 8th. Unfortunately, the Maple Leafs beat the Sens 3/2 in a penalty shoot-out after 5 mins overtime! But I am glad there is a growing fan-base that is global in nature for this News-Blog, it makes all the research I do worthwhile, thanks again!